Artisan Cashew Nut Butter made from 100% skin-on nuts and nothing else. Naturally sweet and creamy cashew nuts, roasted and ground until smooth. Uses: Spread on bread or toast, add to shakes and smoothies, use in cakes, bakes, vegan ice cream and creamy savoury sauces. 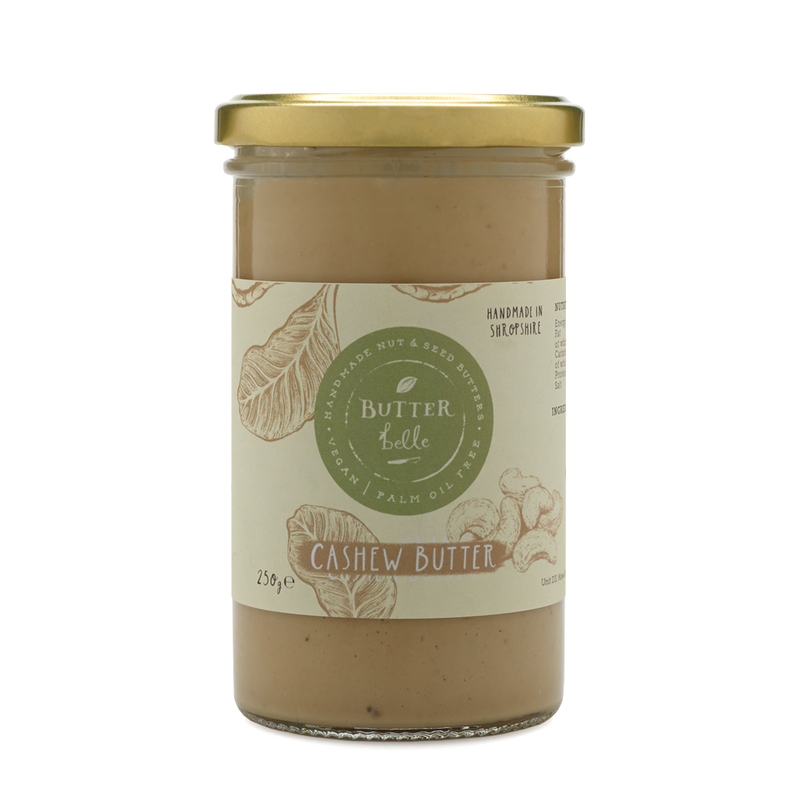 Butterbelle is a 100% Vegan company and their premium butters are handcrafted in small batches with lots of love and care, using only the highest quality nuts. Storage: No need to refrigerate, store in a cool, dry place. Once open eat within 3 months. Not suitable for peanut, tree nut or sesame allergy sufferers.